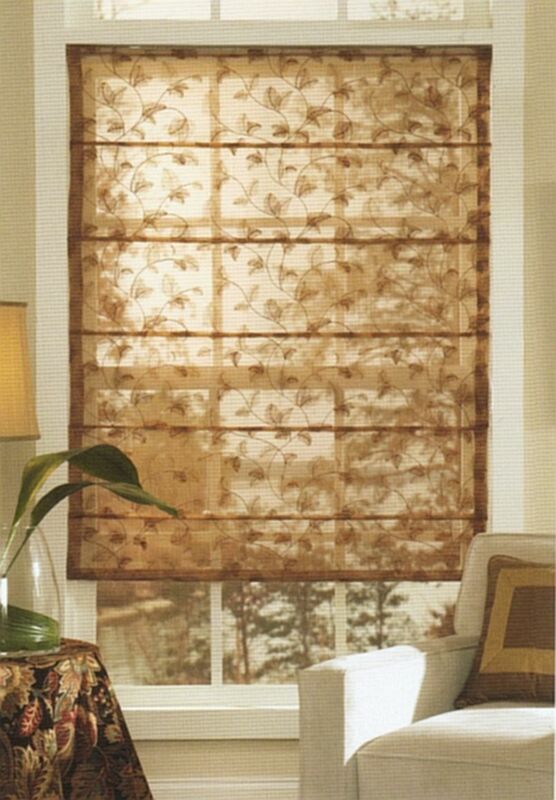 Our Soft Shades are available in several designs, and customized with soft fabrics and colors for coordination to your existing room interiors. 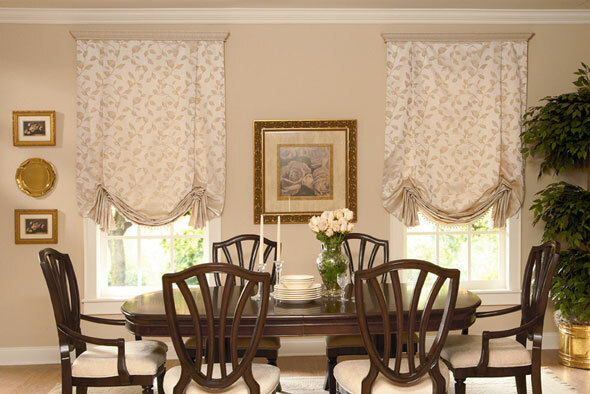 With our custom soft shades, soft fabrics and trimmings can be paired together to accentuate your room design, lighting and privacy. 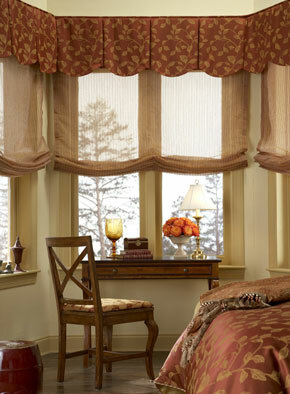 Banding and trimming accessories on our shades can also accent the colors within a room setting. 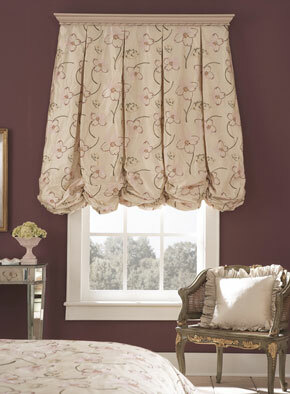 Hamilton Flat Roman This is our most popular soft shade. The simple, straight lines allow this style to fit in almost any room decor.The pattern or texture of the fabric is always clearly visible. 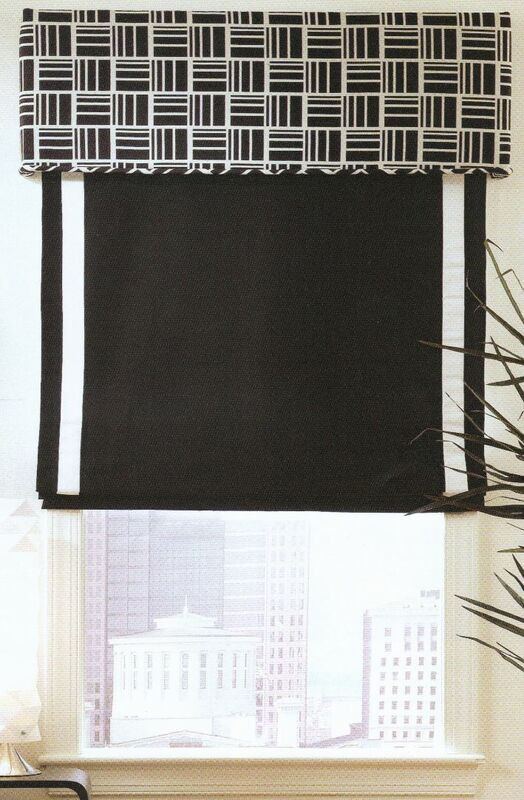 When heavier fabrics are used to make this Flat Roman Shade, it becomes a perfect option for light control and privacy needs; retaining more even folds in its appearance. Mathis Back Slat Roman This refined, horizontal design with cross bars makes for an even shade that raises and lowers smoothly. A bottom weight bar is also used to help the shade hang solidly and evenly. Lining can be used on this design to block out shadows and shade components - allowing for optimal privacy and light control. 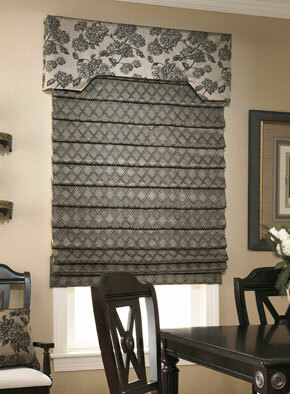 Chandler Front Slat Roman Similar to the Back Slat style, this shade has stiffeners sewn into the front of the shade. These create crisp, visual lines, defining the personality of the shade. Coolidge Hobbled Roman The Coolidge Hobbled Roman retains soft folds across its width, even when fully closed. This structured design is very similar to the Concord Step Roman except that it has two-times fullness in the length rather than three times and the folds hang rounder than a traditional Step Roman design. There is no stitching on the face of this shade and it lowers evenly for a fresh, level appearance. Concord Step Roman Our Concord Step Roman is a smart, well-made shade, which offers three-times fullness in its length and flat folds with minimal creasing. 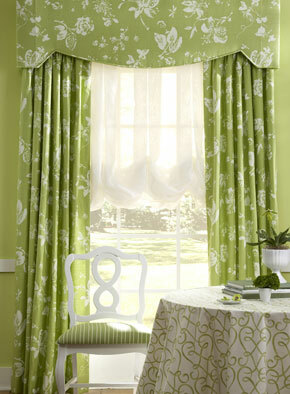 Wider spaced folds allow more of the decorative fabric to be seen. It's Ideal for rooms where window fabric colors and banding can be brought together for a finished, uniform shade treatment. 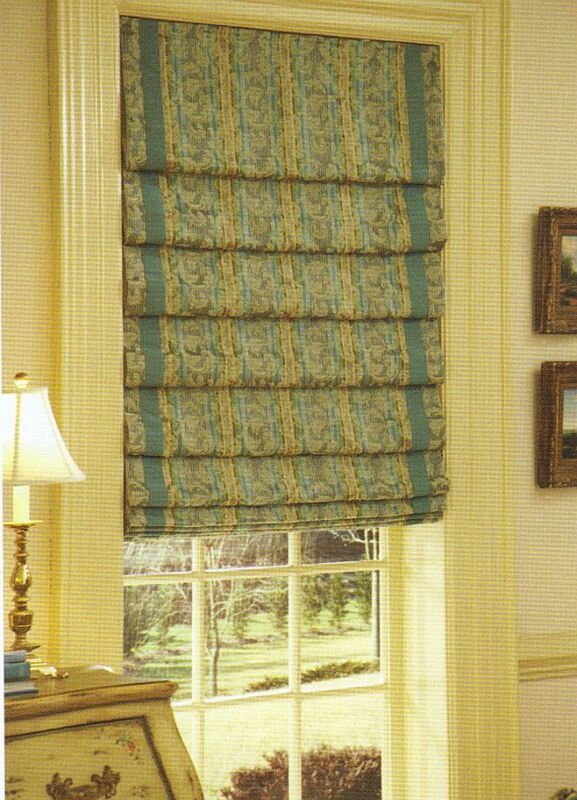 Ashland Tuck Roman This innovative design possesses the uniform look of a Flat Roman Shade with a series of tucks that are sewn horizontally in one-inch increments throughout the shade. 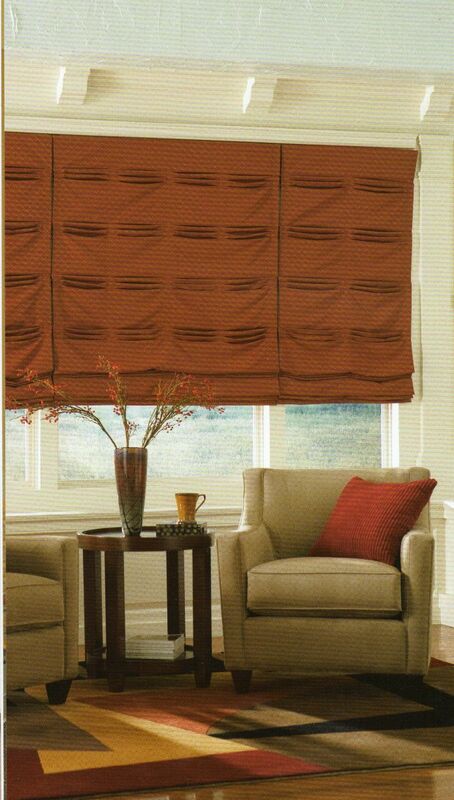 Intervals of 1, 2, or 3 tuck pleats can be sewn into the shade depending on the level of intricacy desired. The shade is strung through small grommets that are pressed through the tuck on the lining side for clean shade functionality. 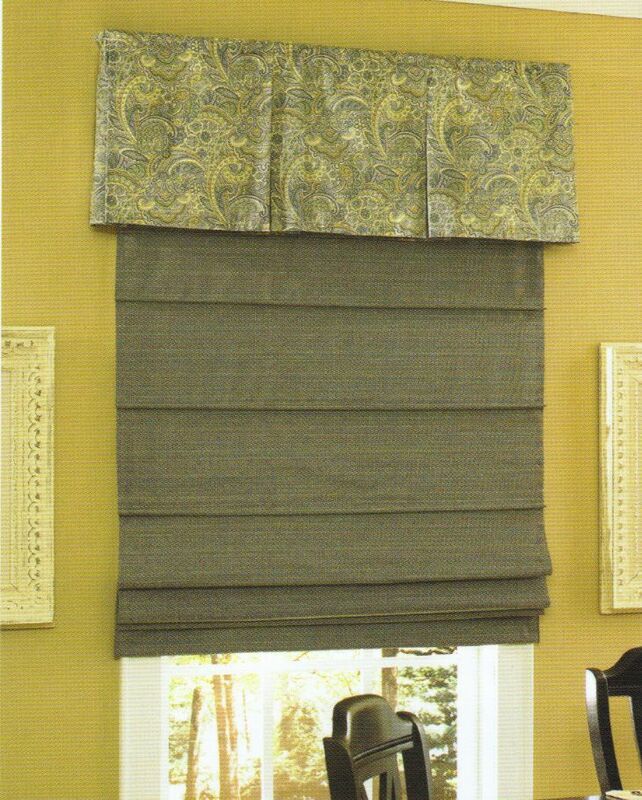 Albany Relaxed Roman This shade does not have a weight bar threaded through the bottom pocket and therefore has an easy, relaxed curve design that falls toward the center. 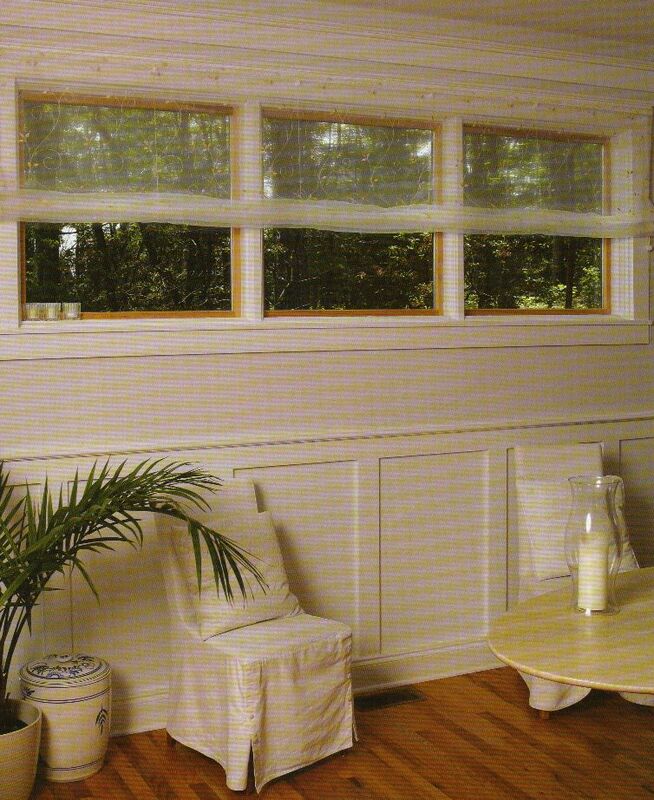 Once folds are dressed at a permanent position, this shade treatment can add a casually soft design to large windows that are grouped together. Use for outside mount applications only. Sommerset Relaxed Roman with Tails This whimsical design is perfect for a relaxed at-home atmosphere that many homeowners prefer. It creates a minimal, yet highly effective statement about the window. 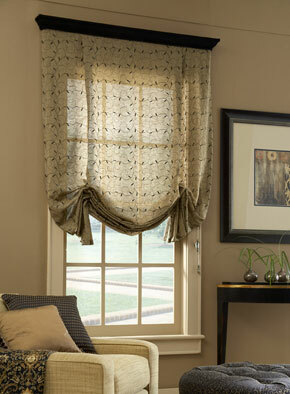 Printed fabrics, and heavy weight drapery fabrics with lining work well for this shade. 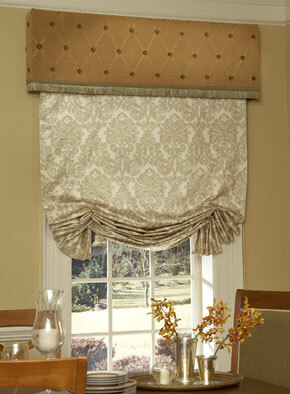 This allows for more versatility in color and texture options to fit in with other interior accessories in a room. Denton Shirred Balloon Luxurious fullness is the keynote for this more relaxed style. The fullness across the width as well as the length provides an eye-catching design element. 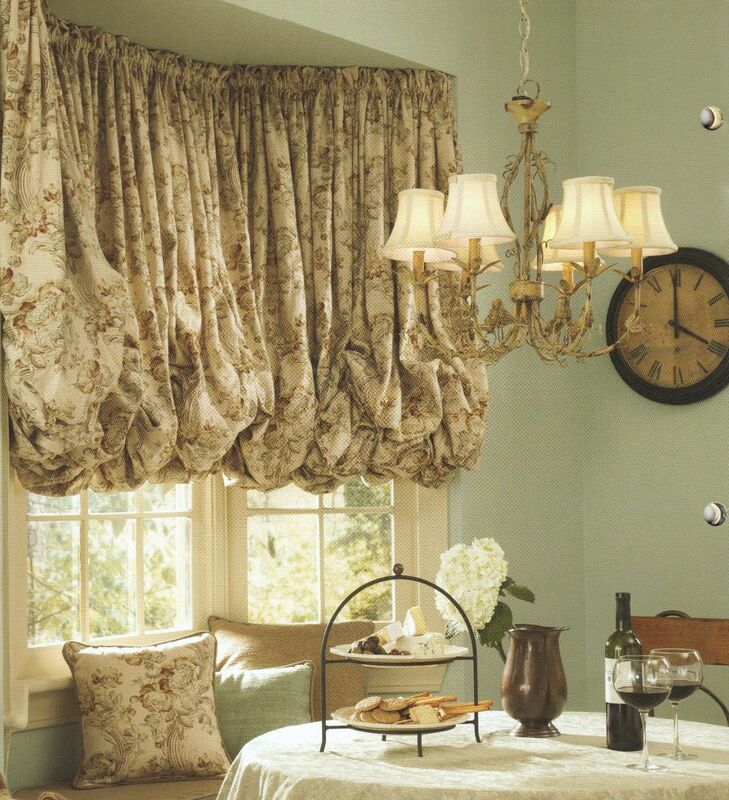 Layers of soft, full fabric is characteristic of this traditional balloon shade design which can be further enhanced with prints or solid drapery weight fabrics on large or small windows. 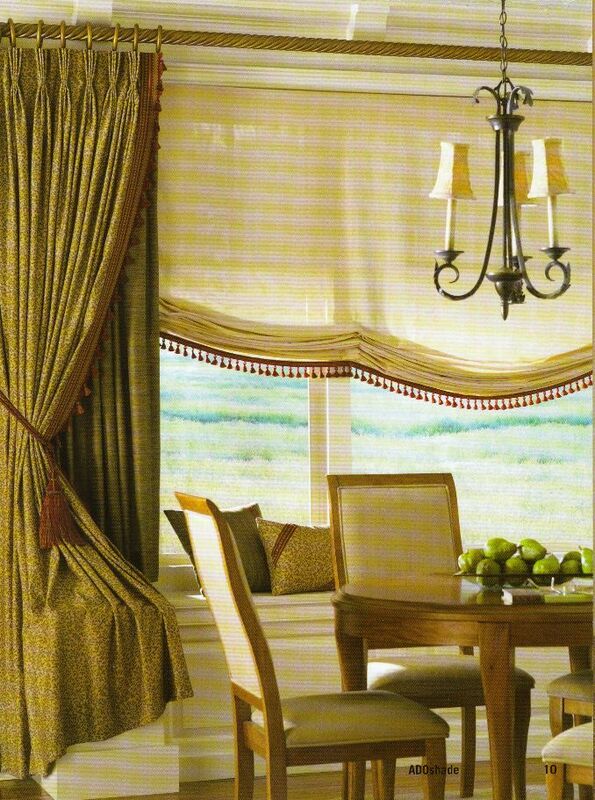 Preston Tailored Balloon Combine the formal attributes of the traditional balloon shade with the slightly tailored effect created by the boxed pleating, and you have the best of both worlds. The Tailored Balloon works in very formal settings, yett performs equally as well in casual and contemporary environments. 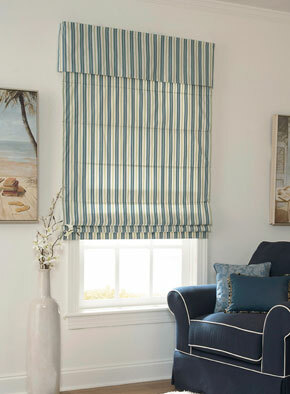 New Venice Shade Tailored pleats at each side create just enough fullness to provide a soft profile that fits into almost any decor. The sculptured bottom hem retains its fullness even when fully lowered. 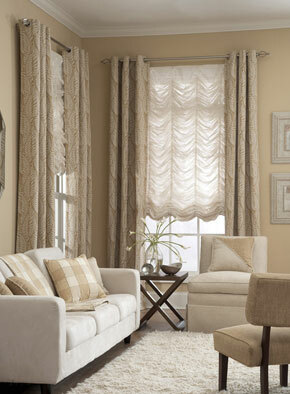 We proudly showcase our collection of Sheer Soft Shades. These fabrics control and filter light entering a room and allow the outside view to be partially seen, while providing a degree of privacy.